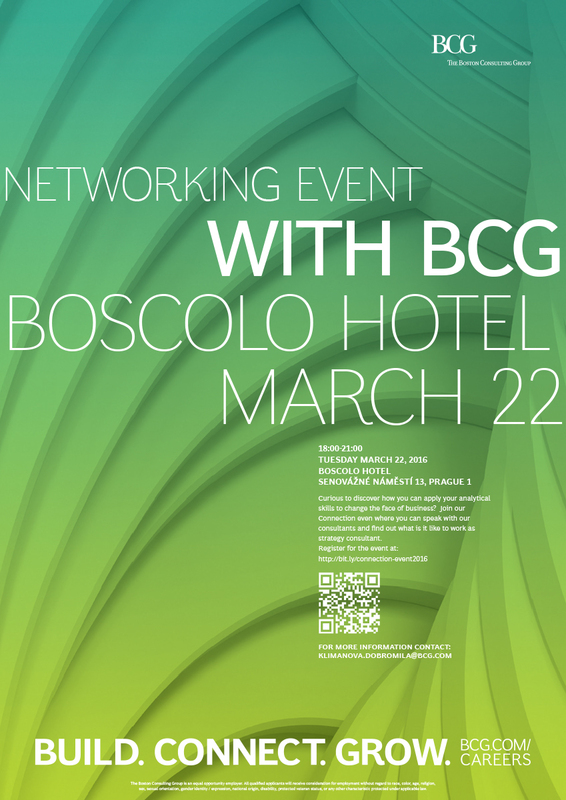 We are pleased to inform you that our partner The Boston Consulting Group will be hosting a marvelous Networking event with BCG for consulting enthusiastic students. 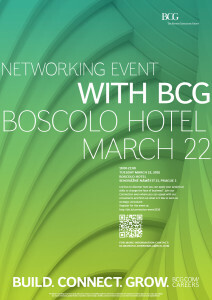 If this strikes your attention, Networking event with BCG is a great opportunity to speak with consultants and find out what is it like to work for one of the fines strategy consulting companies. For more info either click on the poster to your left or reach out to Dobromila Klimanová ( klimanova.dobromila@bcg.com ).